with a first interview and assistance in finding further help. Tuesday 9 a.m. to 12 a.m.
Wednesday 3 p.m. to 5 p.m.
Thursday 9 a.m. to 12 a.m.
every 1st Monday of the month 2 p.m. to 4 p.m.
every 1st Saturday of the month 10 a.m. to 12 a.m. In addition, advice can also be arranged by appointment. It is possible to use advice by e-mail and telephone. In a first conversation the concern and the further procedure are discussed. We are a team of qualified social education workers. We advise confidentially, anonymously, and clients centered. 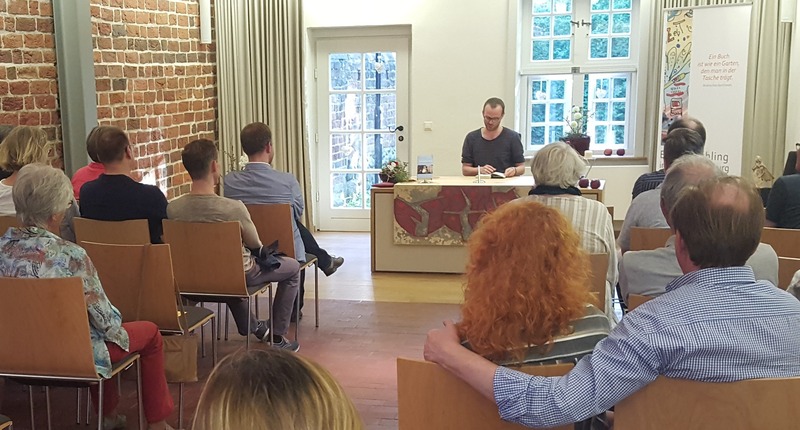 We cooperate with other counseling centers in Neubrandenburg, in the district and in the state of MV on specific topics. Mrs. Arndt can be reached on Thursday from 9 a.m. to 12 a.m. in the advice center. For Tuesday afternoon appointments can be arranged. Mr. Sandmann is responsible for coordinating the work of the team and supporting volunteer work. He is responsible for the accompaniment of trainees. Otherwise, his area of responsibility lies in advising and supporting multipliers. Furthermore, he is a cooperation partner in sexual education counseling and qualification. Contact: If you are interested or have questions, you can contact us personally during the consultation hours or send an email, INITIATIVE ROSA-LILA, Tilly-Schanzen-Strasse 17, 17033 Neubrandenburg, room 401/402. Accessible by bus 8 or 4, bus stop Woldegker Straße or by car direction A20 / Oststadt or coming from there. 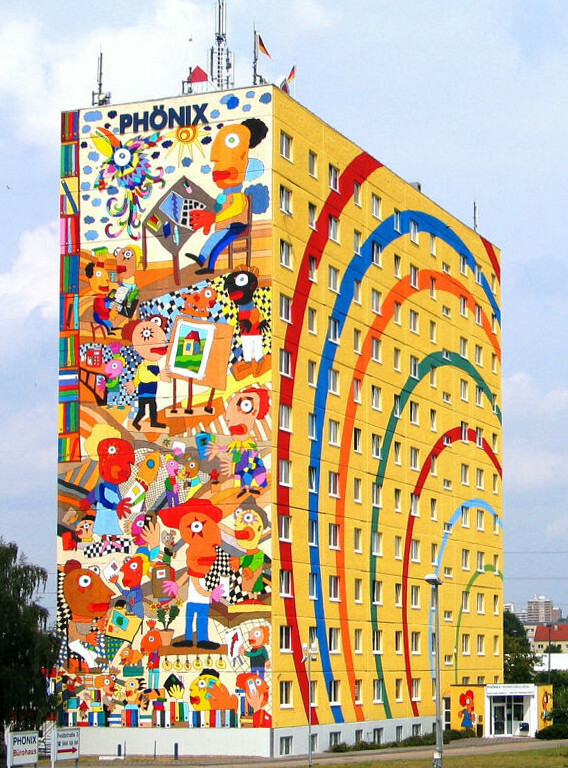 The library of the INITIATIVE ROSA-LILA from Neubrandenburg in the district Mecklenburgische Seenplatte is a socio-cultural rarity in Germany. Over the decades, the stock has expanded to approximately 10,000 media, including approximately 8,500 books and several hundred brochures and magazines. The library has always been part of our meeting and counseling center. Over time, we were able to capture all the books. These can be found in a library program on-site and on the Internet. 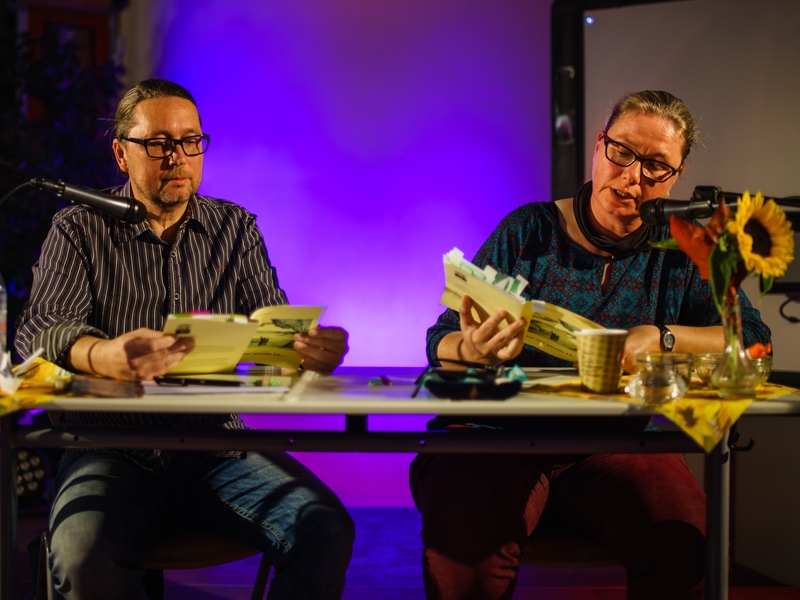 The contribution per book is € 0.50 for teenagers up to the age of 18 and € 1.00 for adults from the age of 19. The loan is possible for 4 weeks. Address and name are recorded on a user card. If the books are not returned, legal action may be taken. 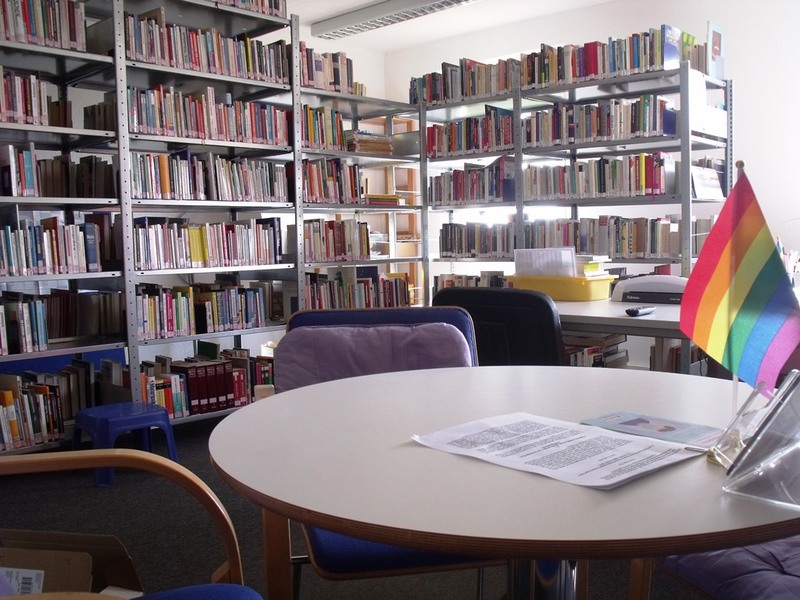 The library of the INITIATIVE ROSA-LILA is located in room 404 of the office building Tilly-Schanzen-Straße 17 in Neubrandenburg. Accessible by bus 8 or 4, bus stop Woldegker Straße or by car direction A20 / Oststadt or coming from there. Not everyone finds it easy to talk openly about sexual issues with young people. This also includes allowing questions about one's own sexuality. It gets more and more difficult when adolescents address the theme of homosexuality. That's why we offer young people to come to us to talk about sexual diversity with them in an open atmosphere. We use the following methods: questionnaires, round tables, role-playing games, videos, information materials, etc. 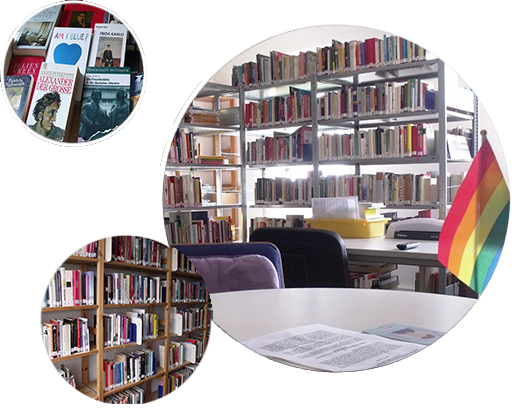 It is possible to get to know the library for gay and lesbian literature, literature on HIV / AIDS and literature on sexuality with about 10,000 media. These can be borrowed or viewed. Our offer is aimed at young people and young adults in schools and youth facilities. Please call us at least 8 weeks before the desired event. We will then have a preparatory talk with you. The conversation could be about the group situation, the organization of the event and your questions. With appropriate conditions (suitable space and travel expenses reimbursement), these can also take place on-site at you. For young people from the district Mecklenburgische Seenplatte we take each participant 2 € contribution + travel expenses share. For events in other districts, we charge a fee of € 5 per participant + travel expenses share. Contraception, including contraceptives and methods for women and men, protection against pregnancy and sexually transmitted infections, correct use of condoms. On these topics of sexual education, we can convey to other providers, with whom we implement or cooperate together. The INITIATIVE ROSA-LILA is recognized as a charitable organization from the beginning. The association is selflessly active. This is mainly financed by contributions, donations and grants for the projects and offers. The work of the association can be promoted as a whole; but also parts, such as the offers of the counseling center or the library. The association is entitled to issue donations for the tax office. The INITIATIVE ROSA-LILA has been awarded by the city Neubrandenburg the "recognition as a carrier of free youth welfare". The state youth authority certified in spring 1999 the recognition. We are therefore also for the district of Mecklenburg Lake District. Our club is an unregistered club. This legal form is not uncommon but less common and unfamiliar to e.V. Often it is associated with the fact that the club is then not charitable or even no club. This is not right. Also, one often assumes that the club, then not legally competent. This is also not quite true. Such clubs are partially viable and equal in many respects of the registered clubs. The statute is and must be submitted to the tax office for examination.